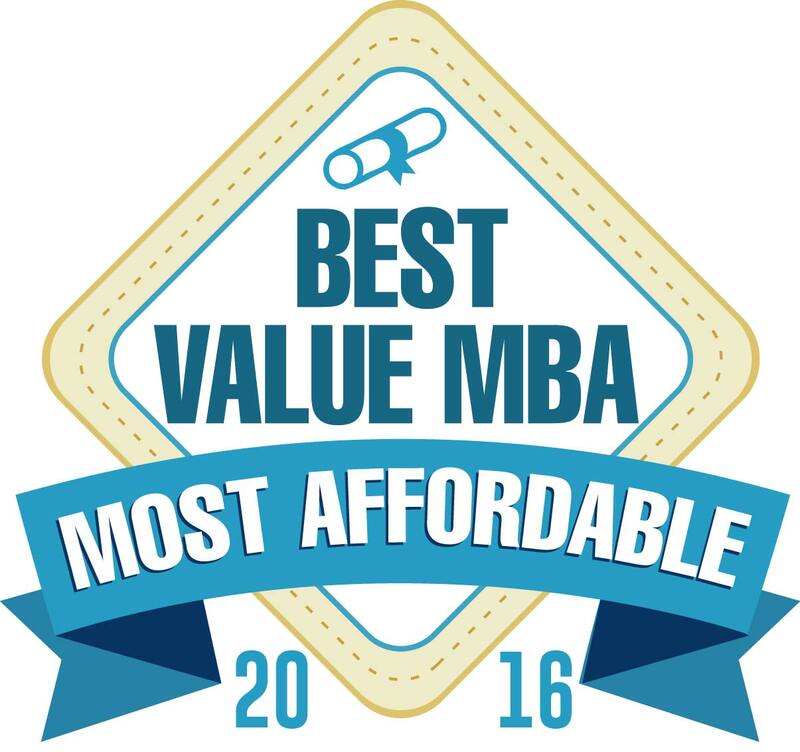 This is a ranking of the 20 most affordable MBA programs with no GMAT required for 2016. Many MBA programs, both on campus and online, require applicants to submit GMAT scores. Often, GMAT scores are only accepted if the test was taken within the past five years. This can be a hassle for working professionals who went straight into the workforce with their bachelor’s, and now want to earn an MBA. However, many of the online MBA programs offered by schools are geared toward these working professionals, and thus do not require GMAT scores. This ranking includes schools with no GMAT requirement at all, and schools that waive GMAT requirements for students with a strong GPA, or years of successful work experience. These convenient programs are just as rigorous as many of their GMAT requiring counterparts. Just because the school doesn’t require students to submit GMAT test scores doesn’t mean the program is easier. So students who don’t already have a strong understanding of fundamental business principles should consider taking supplementary courses anyway to ensure their success in an MBA program. The 20 cheapest no-GMAT online MBA programs ranked in this article were drawn from a pool of over 500 online MBA programs listed by College Navigator, a database run by the National Center for Education Statistics. Tuition information was sourced from College Navigator and represents the average graduate tuition per year of each university included in our ranking. Tuition among graduate programs and online programs may vary based on many factors so always make sure to confirm the tuition rates with the university you choose. The prices listed here include only tuition, and do not include fees or cost of living estimates. 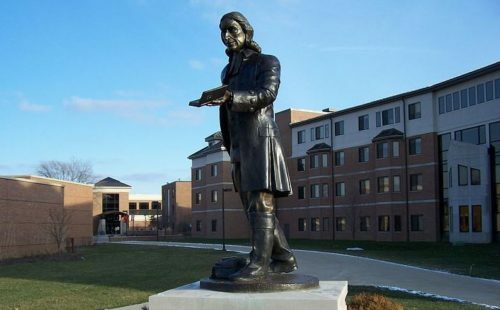 Prospective students will want to check out the features of Indiana Wesleyan’s online MBA admissions requirements. The online MBA offered by Indiana Wesleyan is a 42 credit-hour program. Some of the courses offered include applied management theory, decision making and business communication, statistics for decision making, applied managerial finance, managerial economics, and business strategy and policy. The admissions requirements are pretty relaxed, requiring only a 2.5 gpa and an undergraduate degree from a regionally accredited university. Students without a business undergraduate degree or equivalent work experience may have to take foundation courses to ensure they are ready to tackle the MBA course work. Thomas More has an online MBA with no GMAT requirement at a great price. 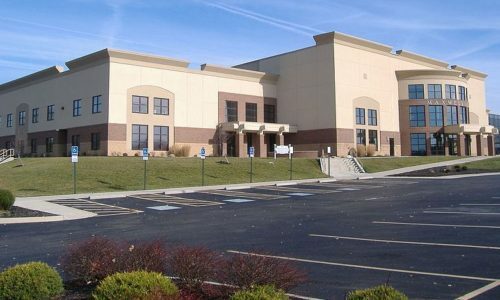 Thomas More College has waived its GMAT requirement for an unspecified limited amount of time. Students must show undergraduate proficiency in economics, accounting, finance, calculus, and statistics and submit a resume demonstrating significant work experience instead. Students will take classes on conflict management and negotiation, transnational management, strategy formulation, implementation, and evaluation, operations, logistics and production, and political, legal and regulatory environment. After the 2016 application season, students should check with the school to ensure the GMAT waiver is still in place. King’s online MBA is aimed at established professionals. 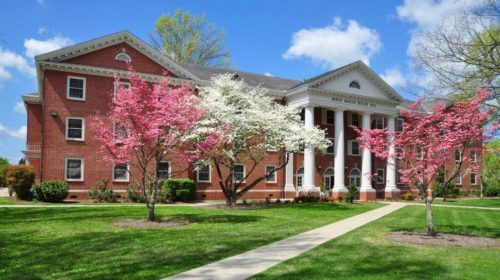 The King University Professional MBA is designed for established professionals with plenty of work experience, which is why the GMAT is not required. The program includes specializations in accounting, finance, healthcare administration, human resources, leadership, management, marketing, and project management. Students will take courses on international business, strategic management, economics of organizational architecture, and quantitative research methods. 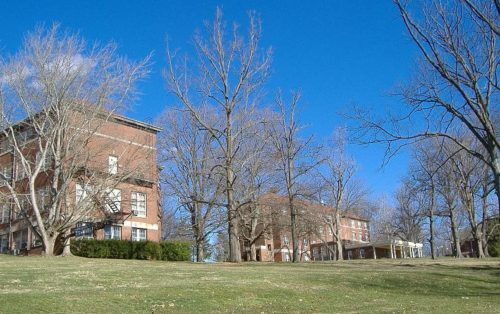 With tuition at $9,000 and no GMAT requirement, the online MBA at McKendree is worth a close look. 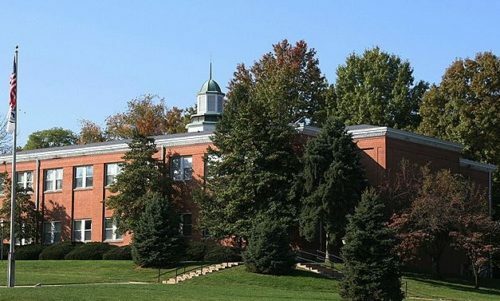 The online MBA program at McKendree University offers students a concentration in human resource management. Students without qualified undergraduate coursework in business will have to take foundation courses, which consist of foundations of accounting and finance, economics for managers, marketing and management concepts, and quantitative and statistical tools. 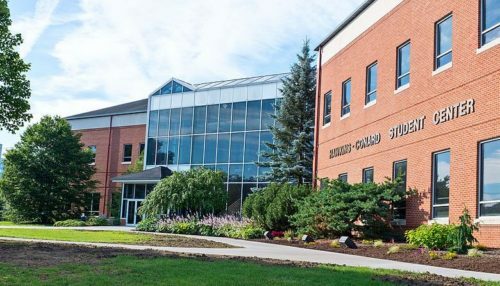 Students in the human resources management concentration will take courses on organizational leadership and transition, global human resource development, and managing the changing workforce. Frostburg has not only waved the GMAT for admissions to its online MBA, but it is also accredited. 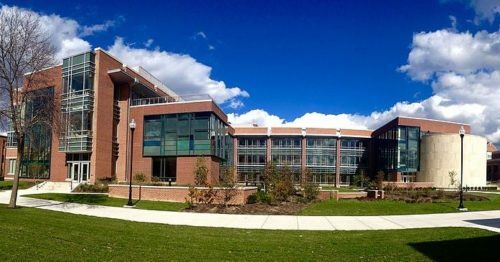 Frostburg State University offers the only AACSB-accredited online MBA on this list. Students with an advanced degree, or GPA higher than 3.65, or a GPA higher than 3.25 and two years professional management experience do not have to submit a GMAT. Some of the courses available in this online MBA program are leadership and ethics, economics for managers, and strategic human resource management. Northwest Nazarene’s online MBA can be completed in a timely fashion. 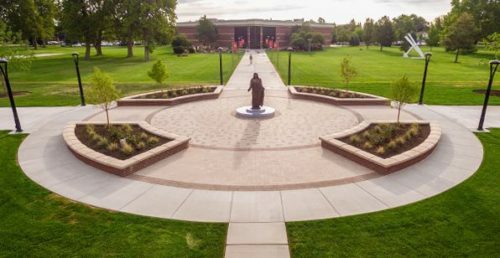 Northwest Nazarene University’s no-GMAT-required online MBA program can be done in just 16 months taking two classes at a time. The program is ACBSP-accredited and features courses like quantitative methods, management law, corporate finance, ethics in management, and strategic marketing. While the GMAT isn’t listed in the application requirements, students without business education or equivalent experience may be required to take three foundational courses. 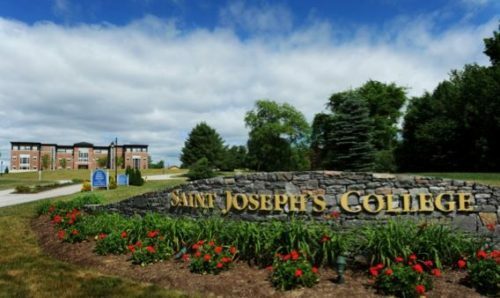 Leadership-oriented students looking for an online MBA will want to consider St. Joseph’s. The online MBA offered by Saint Joseph’s College of Maine features an automatic concentration in leadership. Graduates of this program have moved on to work in banking, healthcare, hospitality, government (at the local, state, and federal levels), and to work for themselves. Some of the courses available are systems thinking, cross-cultural leadership, corporate strategic leadership, and ethical, social & environmental responsibility. 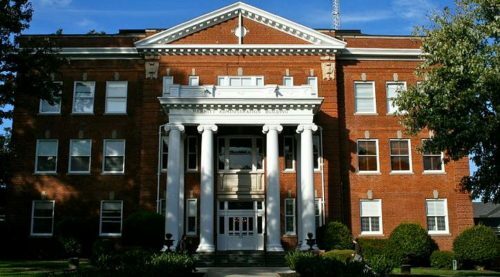 If you want to complete an online MBA in less than one year, Carson-Newman is a great landing spot. Students who pursue Carson-Newman’s no-GMAT online MBA full-time can complete the degree in just 11 months. Part-time students can complete the program in 24 months. However, if you want to go at a slower pace, the program gives you five years to fully complete the degree. Students without much in the way of academic or work experience can still submit a GMAT, though none is required. Some of the courses featured in the program are leadership, quantitative methods for managers, strategic management, and entrepreneurship: new business venture. Delaware Valley’s online MBA offers multiple start dates through the year. 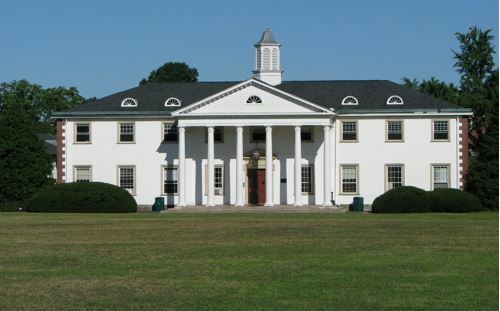 Delaware Valley University offers students an incredibly flexible no-GMAT online MBA. The program has rolling admissions, and six terms throughout the year so you’re never far from being able to start your degree. Students can choose to specialize in areas like accounting, entrepreneurship, finance, food and agribusiness, global executive leadership, supply chain management, and human resources. Courses include marketing management, managerial economics, financial management, and advanced computer applications. Liberty’s online MBA offers interesting coursework from a Christian perspective. Liberty University offers two ACBSP-accredited online MBA programs, one 36-credit, the other 45-credit. Neither program lists the GMAT as an admissions requirement. The main difference between the two programs is that the 36-credit program is a general business degree while the 45 allows the student to specialize in areas that include accounting, criminal justice administration, healthcare management, international business, marketing, project management, public relations, leadership, and public administration. Future online MBA students who have completed some previous coursework in business might see the GMAT waived for admission to Greenville. 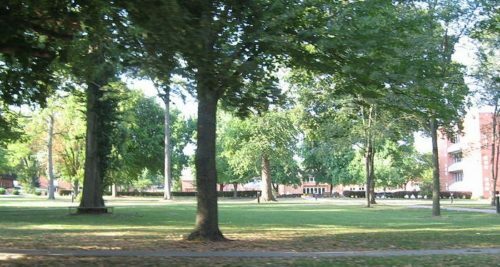 Students in Greenville College’s no-GMAT online MBA can choose from majors in business administration, human resource management, and nonprofit management. Students will take classes like organization theory and practice, international business, strategic marketing management, and applied business research and statistics. The classes are taught from a Christian ethical perspective. Applicants with a graduate degree or 12 undergraduate credits in accounting, finance, statistics, or economics, or two years of managerial experience are exempt from submitting GMAT scores. Charleston Southern’s online MBA is offered at a remarkable price. 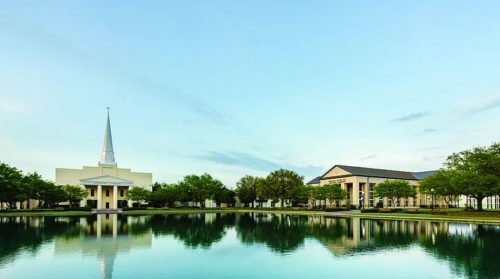 Charleston Southern University integrates Christian faith with learning in their IACBE-accredited online MBA. Submitting a GMAT score to CSU is not required. However, students without a strong academic career or impressive professional successes should consider using the GMAT to enhance their application package. Students can select an emphasis from different areas of business like accounting, finance, leadership, management information systems, and human resource management. Anderson requires no GMAT to enter its online MBA. Anderson University’s no-GMAT online MBA focuses on the practical business application of the principles of quantitative and qualitative management, informed by a Christian approach to business ethics. Prerequisite courses include principles of accounting, principles of economics, and quantitative methods. Some of the courses students can expect to take are strategic human resource management, organizational behavior, leadership and ethics, and operations and management. Professionals can get their online MBA for under $7,000 per year. 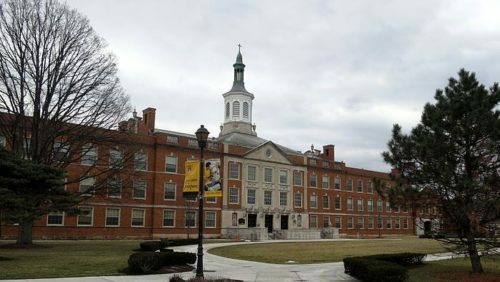 Ohio Dominican University’s no-GMAT online MBA offers students a concentration in leadership, but none of the other specializations are currently available to online students. While this ACBSP-accredited program doesn’t require students to take the GMAT, students are only exempted from this if they have completed coursework in all foundation course knowledge areas including accounting, finance, economics, and statistics. See the school’s website for more comprehensive information on these foundation courses. Chadron State offers a special exam instead of the GMAT requirement for its online MBA. Chadron State College doesn’t require a GMAT but it does utilize the Inbound Peregrine Exam to assess new students. Admission is not contingent upon achieving a certain score, however students who score below a predetermined mark will have to take an Academic Leveling Course. The exam only costs $32.00, can be taken online, requires no prep, and only takes two hours to complete. Students in Chadron State’s online MBA program will take courses like government not-for-profit accounting, event management and logistics, human capital management, and legal & social environment of business. #5. Listing removed by editor. Midway offers one of the most inexpensive online MBA programs in the country. Midway University’s no-GMAT online MBA features concentrations in equine studies, healthcare administration, sport management, and tourism and event management. The degree can be completed in as few as 12-18 months and all classes are offered in online, hybrid, and on campus formats. Some of the courses available to students are business law, global business, operations management, ethics and the equine industry, organizational behavior in sports, and healthcare politics and policy. 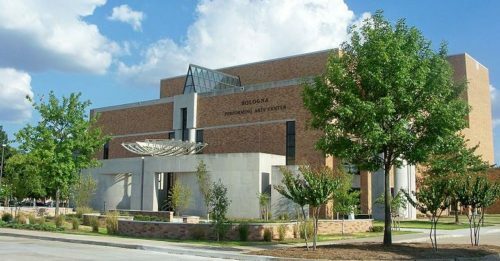 Delta State’s online MBA comes in multiple concentrations. Delta State’s 30-credit online MBA program features concentrations in human resources, healthcare administration, and information systems management. Some of the courses available to students include strategic marketing, risk management for healthcare industry, healthcare law and ethics, recruitment, selection & performance appraisal, enterprise data warehousing, and business intelligence. While the program is only 30 credits, there are 30 credits of prerequisite requirements that must be met in order to qualify for admission. Ashland offers lots of freedom in online MBA course selection. Ashland University’s ACBSP-accredited 36-credit online MBA consists of 50% core courses and 50% electives. Courses available to students include accounting, economics, quantitative and statistical methods, operations management, managerial accounting, organizational behavior, and management information systems. 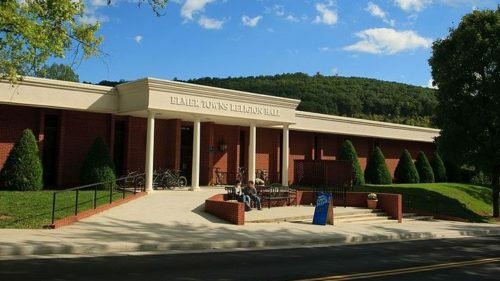 While the GMAT isn’t required for admission, the average Ashland MBA student is 34 years old and has some level of workplace success under their belt already. 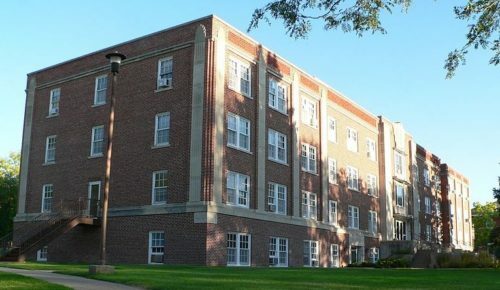 Ohio Christian has the most affordable online MBA without GMAT requirements. 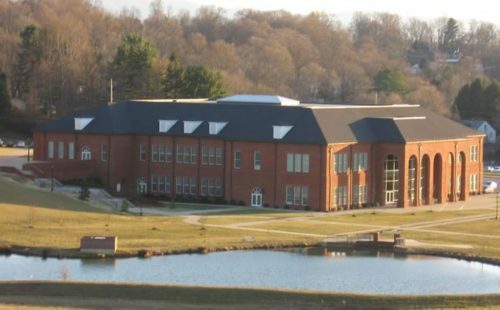 Ohio Christian University’s online MBA features concentrations in accounting, digital marketing, finance, healthcare management, human resources, and organizational leadership. Students will enroll in courses like economics for managers, marketing and advertising for managers, law and regulatory environment, ethics in leadership, and quantitative and analytic methods. 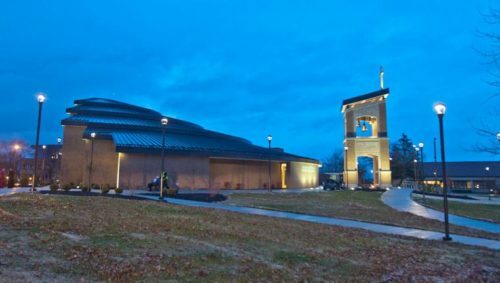 As the name would suggest this is a Christian university and all of the classes are taught from a Christian perspective and designed to provide students with methods of doing business in harmony with Christian morality. 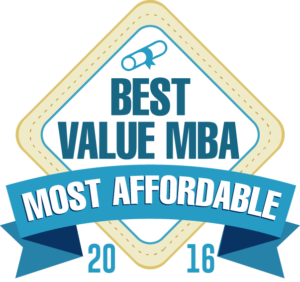 This concludes our ranking of the 20 most affordable MBA programs with no GMAT required.